Aluminium Oxide coated foam blocks are flexible and can be used wet or dry. 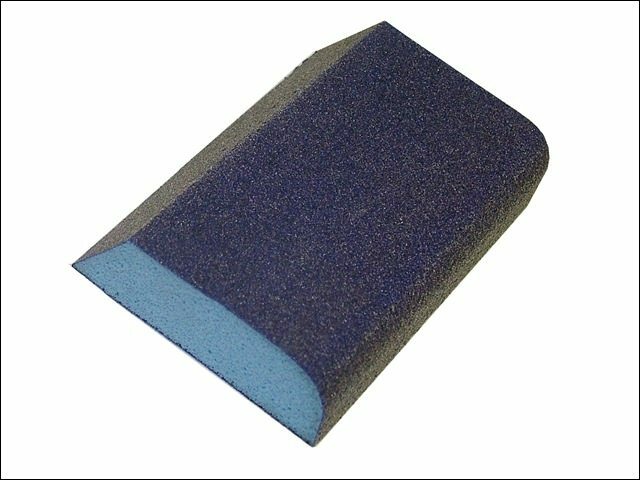 SKU: 9000000877 Categories: Sanding Sheets, Pads & Sponges, Sanding Sheets, Pads & Sponges Brands: Faithfull. They adjust to the shape that is being sanded and are ideal for mouldings, dado rails etc. They can be used on either wood or metal. This block benefits from one angled and one rounded edge to enable access to difficult areas. Size: 90 x 75 x 25mm.